pop. rock. metal. punk. opinionations. other junk. 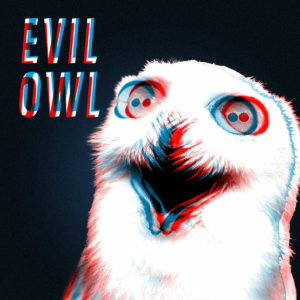 Not to be confused with the independent progressive rock band from Finland, the UK Evil Owl are hard, retro and grubby. On their self-titled EP from 2018, this Bristolian trio take the garage rock base of Brockley Forest and load it with the kind of distortion and arty noise that fuelled the Sonic Youth classics ‘Sister’ and ‘Evol’ and throw in a few influences from Mudhoney and Tad for good measure. The result is a genuine blast of guitar driven anger – four songs with a retro heart but also loaded with a timeless, fuzzy appeal.